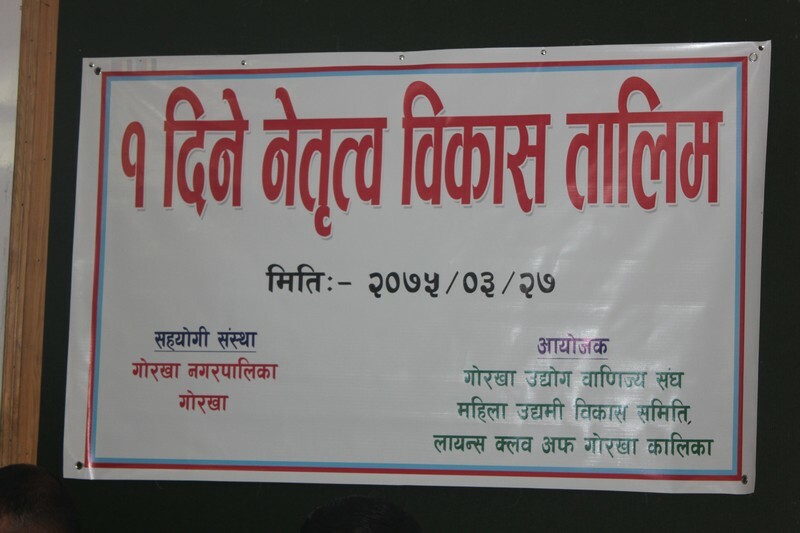 A one day programme relating to leadership and motivation has been completed recently at gorkha municipality. The organizers of the programme were federation of nepalese chamber of commerce and industries, gorkha ; women empowerement and development committee, gorkha and lions club of gorkha. Mayor, Rajan Raj Panta was awarded with chief guest title and deputy mayor, Bina Shrestha was awarded as a guest. The programme aimed to develop leadership as well as interpersonal skill in local womens.